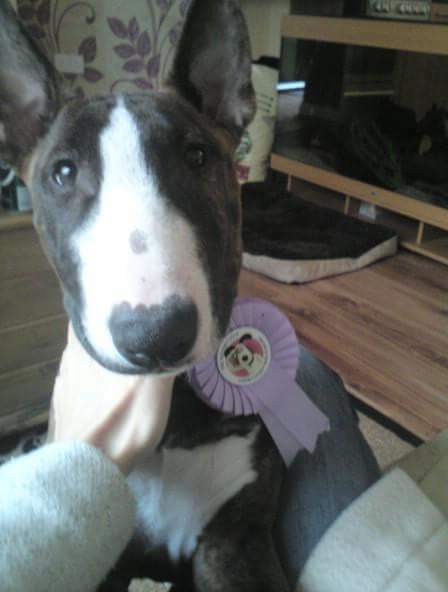 6 years ago we came to Graeme’s puppy classes with our miniature English bull terrier. He picked up all the basics at the Dogfather’s classes and went on to be FAULTLESS! He was more than a dog to us, he was the start of our family. Two children later and we couldn’t have asked for a better family dog. Sadly we only got 6 years with him. I would just like to thank you Graeme from the bottom of our hearts as our journey with Asbo started with you! You were fantastic then and it looks as if you have expanded hugely over the years. You should be very proud of where you are today. With love Sophie and Adam ? 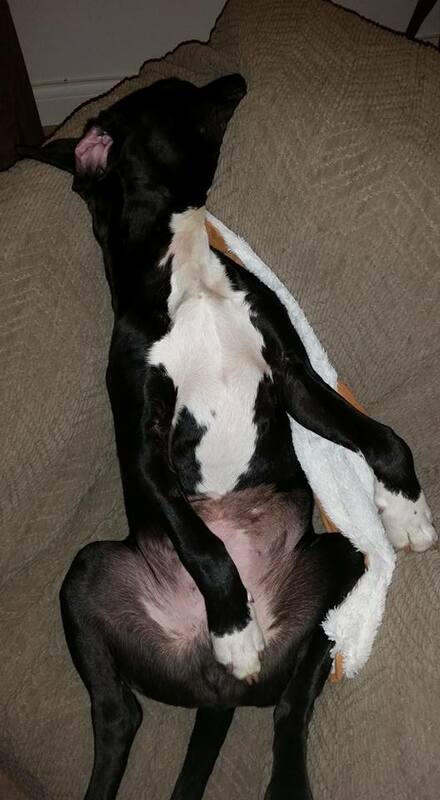 Graeme has just left myself and our naughty puppy Hercules. I was nervous at first but I had absolutely no reason to be! He is a fountain of knowledge and had such a calming influence on our boy. We look forward to putting the training into practice and so far we haven’t been more confident dog owners. Graeme had pretty much reformed Albert, our 18 month Cockapoo within 3 minutes of walking through the door! After months of our ‘puffed up’ little bundle of fur getting barkier, although it is early days, I am now enjoying some much needed peace and quiet. I also feel much more in control and feel that I have the techniques to better lead Albert and stop him in his tracks – with a mere look…. The silence is actually unnerving at the moment – but bliss! Thank you Graeme. We had a most enjoyable session, my over-excitable, unruly, hyper dog and I with Graeme, the Dogfather. In the space of just one session, I watched the dog I had always wanted, the dog I always, deep down, knew was there, emerge, tail wagging. Finn barking unremittingly at visitors? Well, he certainly announced Graeme’s arrival as the car pulled into the drive, but once through the front door, Graeme so quickly quietened Finn, I almost missed it! The postman’s fortuitous knock later with a parcel, was beautifully managed: I took it in through the front door instead of dashing round to the back, calling for postie’s attention over the high gate. Our walk was a revelation: Finn pulling me along after him (the typical cartoon joke)? I discovered a loose lead! Lunging after a cyclist? Prevented before it could happen. Barking and lunging at another dog? We passed by with only a glance (yes, a glance) and a lunge stopped before it manifested, a bark, only one, quickly checked … and we just kept on walking. The walk of my dreams and I felt in control – what a first! I know I have a lot of work ahead to maintain the momentum, but I know now it is achievable because we have already done it! I have seen Finn, my nightmare of a dog to walk, become a pleasure to be out with. Thank you. 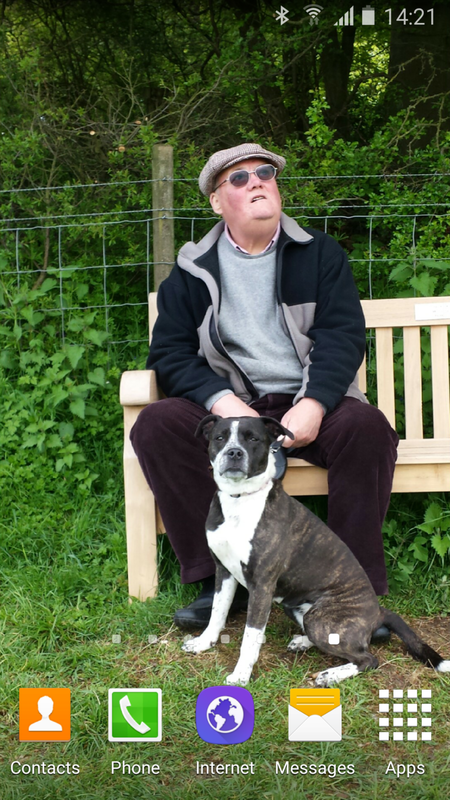 Graeme came to see us and our staffy cross Cassie on 22 April. We were not able to walk past other dogs with her lunging and pulling in a confrontational way and she was also suffering with separation anxiety. We spent a good three hours with Graeme including a walk out with Graeme demonstrating handling techniques. We had almost given up hope of encountering a dog when three opportunities arrived within ten minutes of one another! I was able to practice what Graeme had shown us and was amazed how Cassie reacted. Since then we have had really good progress with the occasional slip up but as Graeme said, slowly does it. We would thoroughly recommend Graeme to help with behavioural issues. For our Great Dane Hectors second birthday we treated him to a one-to-one session with Graeme to help us deal with his increasingly difficult behaviour particularly on (but also off) the lead. Whilst Hector is well socialised and very friendly towards 95% of other dogs, we find it impossible to predict which are going to fall within the 5% that he takes against – so walking him has become increasingly stressful. We had a really interesting morning with Graeme who confirmed that we are dealing with a cowardly boy (although he is hiding it well!) and were able to test the on lead control technique with a real live “victim” (thanks Bowie! ), both kept a safe distance from each other whilst giving us plenty of time to get some confidence in handling our 65kg scaredy dog. Its now 3 weeks since our session and although its not going to be a quick fix we do have a lot more confidence in handling Hector and are determined to increase his confidence and achieve a happy and relaxed dog when we are out and about. We really enjoyed our sesison with Graeme and although at the start I’m not sure Hector thought that this was the best present ever, hopefully it will be in the end! Graeme came to see us at the end of April 2017 as we were having issues with walking our two, 18 month old golden retrievers. Within minutes of entering the house he was able to completely sum up both of their different personalities and have them under his control very quickly. He began to explain to us, in very simple terms, how we could control them to display the behaviour that we wanted with using techniques that were non aggressive or over domineering, which was very important to us as a family. 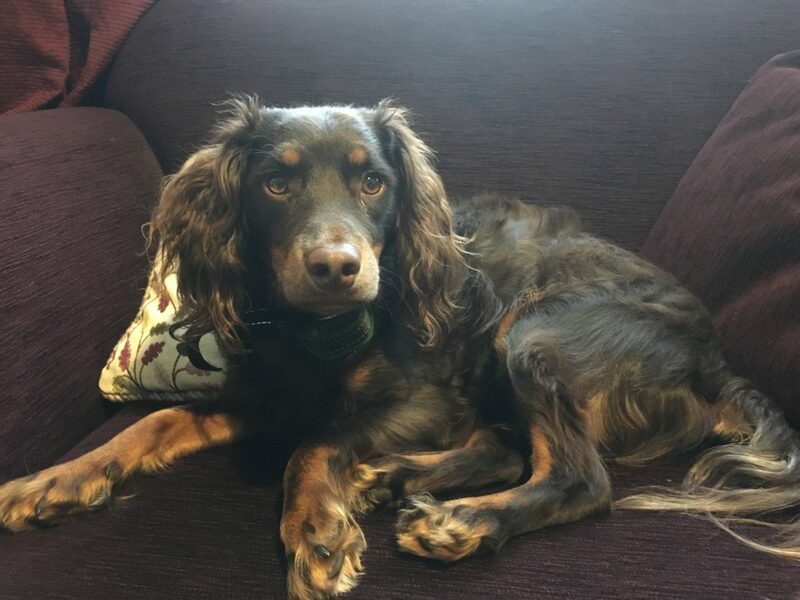 We were not only battling with the constant lead pulling but also with the vast amount of cats in the neighbourhood and when you’ve been dragged through numerous bushes and caught up in the chase, it really is time to call ‘Graeme – The Dogfather’. Whilst visiting us, Graeme came out for a general walk and had total control over them, he also had them sitting within 10ft of the neighbours cats with total control – If we hadn’t seen it with our own eyes we would not have believed it! We are a few weeks on now and are using the techniques that Graeme has shared with us, the results are outstanding and we are also able to adapt them to other situations as they arise. I would most definitely recommend Graeme for the best outcome. Thank you Graeme for helping us realise that we needed the training rather than our doggies. …How lucky were we when Graeme agreed to come to Essex to help out with our three dogs’ individual behaviour issues?! Graeme spent a couple of hours talking about each dog and their isolated problems along with providing a dog-perspective/explanation and a simple straight forward ‘light bulb moment’ solution. In addition to this he gave us hands on 121 training and guidance whilst out on a walk which showed us how effective his methods and techniques are. It was a total delight to hear anecdotal dog training stories which were often hilarious and heart warming. On top of all this he is a thoroughly smashing, funny, down to earth and ‘normal’ bloke. 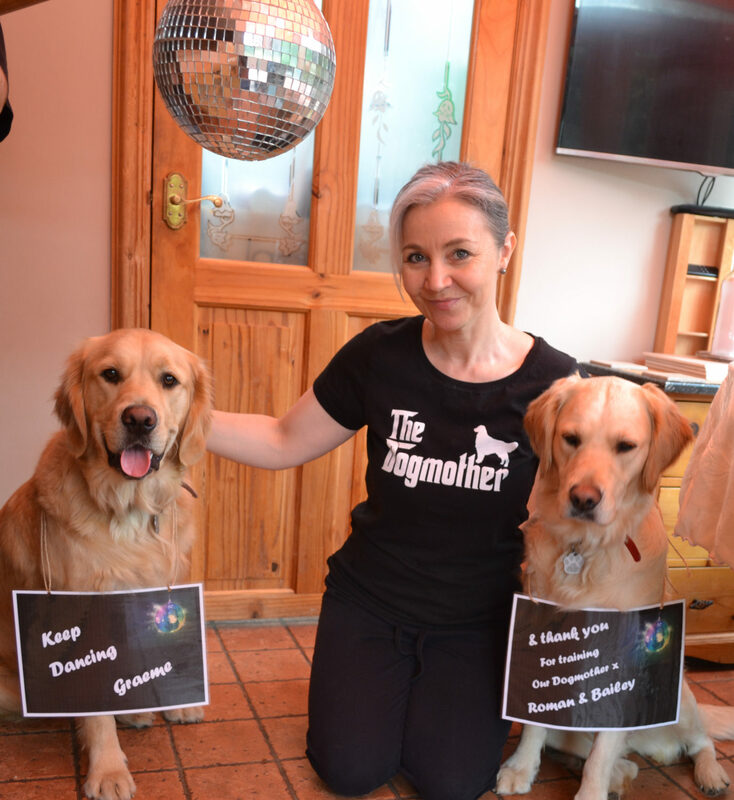 I would totally recommend Graeme for any dog behaviour issues, he restored my confidence in myself as a dog owner and reminded me how bright and clever my three doggies are. A really lovely day thank you so much… you are a Top Geezer ?